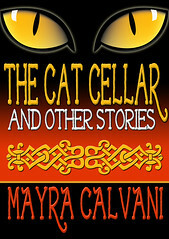 Award-winning author Mayra Calvani has penned more than ten books for children and adults in genres ranging from picture books to nonfiction to paranormal fantasy novels. She’s had over 300 articles, short stories, interviews and reviews published in magazines such as The Writer, Writer’s Journal and Bloomsbury Review, among others. A native of San Juan, Puerto Rico, she now resides in Brussels, Belgium. Being an avid, life-long fan of classical music and having studied the violin in my later years, I jumped at the opportunity to review this ambitious work put together by internationally renowned guitarist Steven Hancoff. Bach, Casals and the Six Suites for ’Cello, a project that took Hancoff eight years to complete, is a fascinating, immersive multimedia extravaganza that combines music, history and art, a gem for classical music enthusiasts. Volume 1 is all about Bach’s life; volume 2 is about Bach’s death and the following 80 years of total obscurity until his music was discovered by Felix Mendelssohn; volume 3 focuses on Pablo Casals, his heroic life, and how serendipity brought him to Bach’s music; finally, volume 4 consists almost entirely on nine videos about the mystery and greatness of Bach, and how he didn’t allow his personal tragedy to define his music. Over one thousand illustrations grace the pages of the volumes, including three hundred works of contemporary art. There’s also a scholarly bibliography. The four-volume ebook is available on iTunes and is accompanied separately by a 3-CD set recording of Hancoff’s acoustic guitar transcription of the suites. Readers may listen to samples here. Like some other famous creative artists in history, Bach led a harsh life, losing his siblings and parents by the time he was ten, then having to work for years in an environment that didn’t support his music talents. He was even thrown into jail at some point. He never recovered from the death of his wife, whom he loved dearly. It was in times of deep pain and hardship that he created his sublime masterpieces, Six Violin Sonatas and Partitas for Violin Solo and then his Six Suites for ’Cello Solo. The cello suites are a testament to the tragedy in his life, to all the pain and sorrow, but also to his determination and transcendence—a gift to his then gone beloved wife. Particularly interesting and surprising is how Bach’s prodigious music almost fell to oblivion if not for the efforts of Felix Mendelssohn’s great aunt, and how Pablo Casals discovered the suites in a little shop in Barcelona and how he studied them for over a decade before performing them in public. Steven Hancoff’s passion and reverence for Bach and his music resonate throughout and shine through the pages of these volumes. He’s done an admirable job presenting “the miracle of Bach,” as Casals once put it. Moreover, his transcriptions of the suites in acoustic guitar are a pleasure to listen to: serene, bitter-sweet at times, filled with emotional power and depth, always sublimely beautiful. Bach, Casals and the Six Suites for ’Cello is a feast to the senses, a testament to the greatness of Bach and comes highly recommended from this reviewer. Connect with Hancoff on Facebook and Twitter @StevenHancoff. As the Hispanic American population of the U.S. increases, with influences ranging from Mexico to Central America and the Caribbean, so does interest in literature inspired by those cultures. Celebrate Hispanic Heritage Month by delving into Latina Authors and Their Muses. 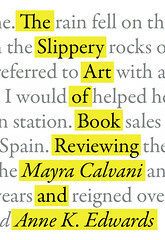 Award-winning author Mayra Calvani has now edited a collection of interviews with 40 Latina authors living in the U.S. and writing in English.Latina Authors and Their Muses is an inspirational and informative book focusing on the craft of writing and the business of publishing, one that provides aspiring writers with the nuts and bolts of the business. “I had the opportunity to meet Carmen Dolores Hernandez, the book review editor at El Nuevo Día newspaper in San Juan, Puerto Rico, when she visited me in Brussels,”says Calvani. “She’d published some of my short stories and novel excerpts inRevista Domingo in the past, and I deeply admired her wisdom as a writer and woman of letters. “She mentioned the anthology she had put together back in 1997, Puerto Rican Voices in English. I ordered a copy and became absorbed by the candor and insight of the authors as they talked about their backgrounds, books, and writing,” Calvani continues. The result of several years of research and interviews is Latina Authors and Their Muses. Writing in genres ranging from the literary to children’s picture books to fantasy novels to chick lit, and more, this remarkable group of talented authors shares their passion and commitment to their craft and to sharing their stories with the world in spite of the odds. 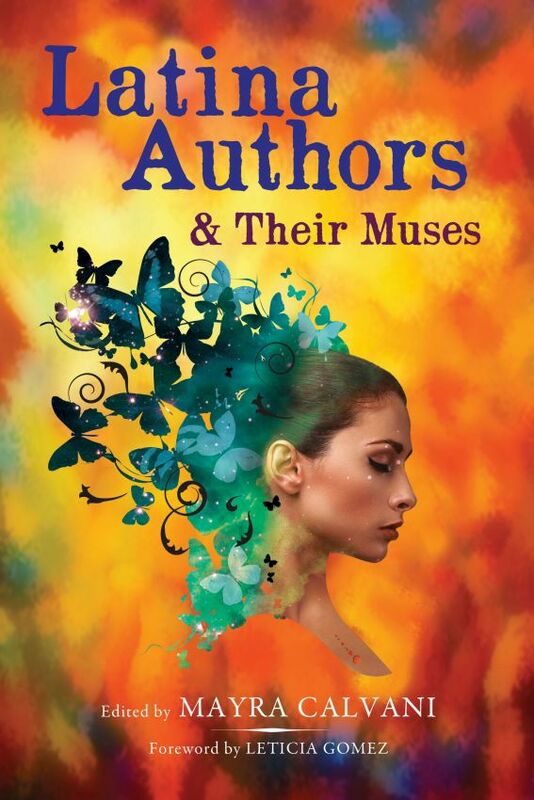 Latina Authors and Their Muses is a celebration of creativity, the writer’s life, and the passionate quest for spiritual and artistic freedom. 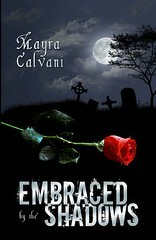 Discount price of 99 cents from Sept. 25th to Oct. 5th! Distributors: Amazon Kindle; Apple iBookstore; BN.com Nook; Kobo Books; OmniLit; OverDrive, etc. Harris Kern is recognized as the foremost authority on providing practical guidance for solving management issues and challenges. 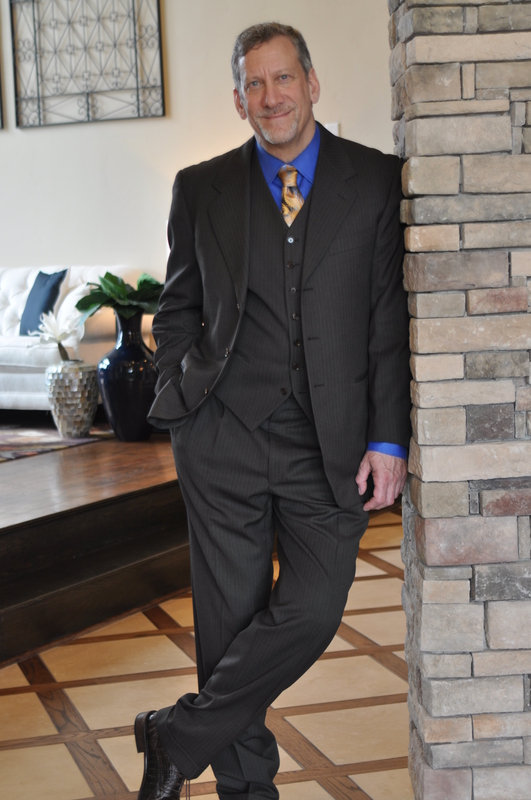 He has devoted over 30 years helping professionals build competitive organizations. His client list reads like a who’s who of American and International Business. His client list includes Standard and Poor’s, GE, The Weather Channel, NEWS Corporation, Hong Kong Air Cargo Terminal (HACTL), among hundreds of other Fortune500 and Global 2000 companies. He pioneered the Discipline Mentoring Program and Professional/Personal Growth Program (P²GP) and is the author of over 40 books, including his latest, Going From Undisciplined to Self-Mastery. 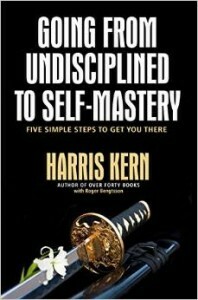 Q: Congratulations on the release of your latest book, Going From Undisciplined to Self-Mastery. What was your inspiration for it? Q: Why do you think so many people have problems with discipline? A: Being disciplined is hard work – although the results speak for themselves: efficient with time, always achieving your goals and living life with urgency to accomplish more. However, very few want to put in the effort to acquire discipline. It means living a very structured lifestyle (being organized, following a routine, following a to-do list and maintaining a good health regiment daily). Q: How is your book different than others about this subject? A: My formula for success is derived from hundreds of life coaching case studies and dozens of organization performance mentoring engagements from Fortune 500 and Global 2000. It is the proof not the hype. I also walk the talk. I’ve lived the past 4 decades following the 5 steps in my book and my accomplishments speak for themselves. Q: Why do people procrastinate? They don’t know how to train their mind to consistently motivate themselves. They have a lackadaisical approach to each day. They don’t know how to live life with a sense of urgency. They look at time wasted as a few hours here or there. However the average person wastes 4 hours a day procrastinating. If you extrapolate that throughout the year – they’re flushing 2 months of their life down the toilet. Q: What do you hope readers will learn from your book? A: How-to combat the DIRTY DOZEN above to live a happier, more productive and successful life. Q: What is your writing schedule like and how do you balance it with your other work and family life? A: I write approximately 2 hours a night after I wake-up. I’ve trained myself to sleep only 4 hours a night so it allows me to go to the gym and write before anyone in the family wakes up. During the daytime I have 2 businesses to run and my daughter to take care of. Q: As an author, how do you define success? A: I would tell them to start small and begin writing as a hobby. Don’t quit your day job. A: Yes: LIVE or EXIST! By being disciplined you will accomplish more and to me living life is about waking up with a purpose, being productive and always accomplishing to eventually leave behind a legacy for your family. 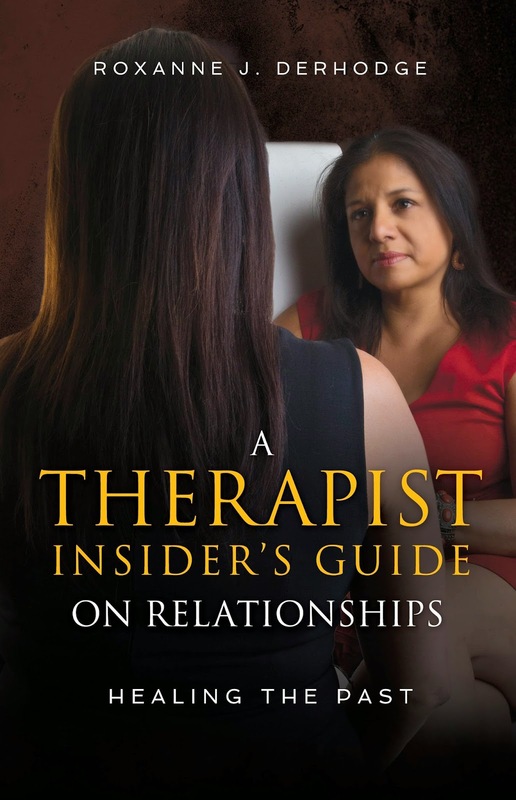 A Therapist’s Insiders Guide on Relationships Giveaway!! A Therapist Insider’s Guide is an Amazon Bestseller! Relationships are complex and challenging, they are also vitally important to our sense of well-being. This book will guide you through a deep personal exploration of your life’s relationships. Breaking out of the mold of traditional therapist protocol, expert therapist Roxanne Derhodge delves into her own past relationships to show how you can heal from the past the same way she did. Using her own experiences as an example and drawing on years of professional expertise as a counsellor, she explains how you can decipher your template for relationships and decide which aspects are in line with what you value and which are not. Through a step-by-step process you will learn how to create fulfilling and positive relationships that will enhance your life in every way. Roxanne Derhodge is a therapist who previously worked with the Metro Toronto Police assisting crime victims, headed an Addictions Unit with the Niagara Health System, and was involved in corporate consulting. She has specialized in areas including managing anxiety/depression, domestic violence and divorce. Experienced in working with both adults and children, Derhodge employs a wide variety of treatment approaches. An engaging presenter with warmth and an uncanny ability to read people, she is passionate about helping people live their lives to the fullest. Life’s greatest mystery is inside us. It is inside every living thing. Like the deep secrets of the universe, the mystery inside us will never be fully explained. By exploring it, however, we can discover gifts available to us that can change our lives forever. Life’s great mystery is awareness. More basic than thoughts and more primal than instincts, awareness does not require a centralized brain, as scientists have proven through studies with invertebrates like starfish. While these beautiful creatures have no centralized brains, they possess awareness. Starfish, like all invertebrates, use awareness to perceive, eat, grow, reproduce, and survive. Awareness is so intrinsic to life that it defines life: living means being aware. From the beginning of life – before we take an initial breath – humans demonstrate tremendous awareness. Prenatal psychologists have discovered that we experience, while still in our mother’s womb, not only light and sound but, even more astonishingly, emotion. We kick our legs when agitated by loud noises and sway pleasantly to beautiful classical music. Months before birth we grimace at the taste of sour amniotic fluid and drink heartily when it is sweet. Awareness grows as we grow. As we develop as human beings, our awareness stretches in all directions – from awareness of our five basic senses to awareness of external events around us, from awareness of our emotions to awareness of our thoughts, from limited awareness of a topic that bores us to an expanded awareness of topics we feel passionate about. Of all the many dimensions of awareness, the highest form is self-awareness. With self-awareness we begin to appreciate just how far awareness actually extends. Just as ocean waters are deeper than the surface of the sea, awareness is deeper than the surface of our physical body or our conscious thoughts. The infinite depth and breadth of awareness is filled with gifts that are ours to receive. At a time when the entire world seems to be spinning out of control, understanding that awareness is our most valuable and practical personal resource is crucial. Rather than having us search high and low for answers to life’s problems in the same old places, awareness takes us beyond what we already know into realms of endless discovery: Realms where rebirth always follows destruction. Realms where new horizons continually appear in sight. Realms where new solutions inevitably come from our sheer willingness to delve deeper into an invisible resource that is always there and can never be depleted. When we realize that awareness is our most valuable and practical personal resource, we become confident that we can overcome any challenges keeping us from living the life we’ve always wanted. Through awareness, hope is guaranteed us. The secret to living the life of our dreams begins with understanding that awareness plays a central, crucial role in both the life we’re living now and the one we wish to live. Increasing our awareness is not about discovering answers by asking questions in the usual way. Awareness is more organic than thinking. We can only access it through a deeper connection with the self. And we can only achieve that connection through a special kind of relaxation: not the kind of relaxation that puts us to sleep, but the kind that wakes us up. Like gymnasts on balance beams, we increase our awareness through a relaxation that calls forth alertness and focus. Relaxed, alert and focused, gymnasts connect to deeper parts of themselves where awareness exists. If they think, they will fall. And when they come off the balance beam, they bring back a special quality to their daily lives. 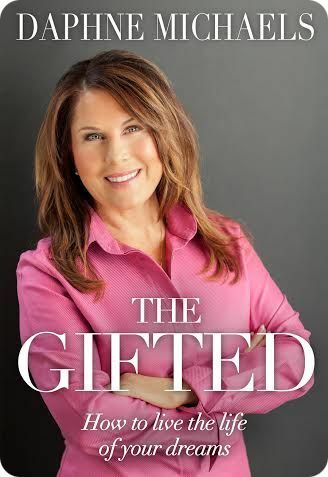 Like gymnasts, we need to come off the balance beam to discover that the gifts we receive from awareness extend farther than we can imagine – into every aspect of our lives. When gymnasts carry their physical strength and mental precision into daily life, their confidence and achievements multiply, bringing even greater success. Like gymnasts dedicated to developing strength and skill for their sport, we must be dedicated to developing strength and skill in self-guiding our awareness. If we are, we will experience deep awareness even when only a moment’s opportunity is available, and then come off the balance beam of that moment with gifts that multiply through the ways we live and love. Self-guiding our awareness means tuning it – from a lower awareness felt as cloudy or negative to a higher awareness where we live with a constant sense of possibility. We tune our awareness through the state of our very being – in other words, through the state of our spirit, mind, heart, physical body and dreaming capacity. Being relaxed, alert and focused on all levels tunes our being to the most profound awareness possible, one where pure potential exists. In turn, self-guiding our awareness through tuning our being allows us to bring that potential into every aspect of our lives. Think of the flight control panel in the cockpit of a high performance aircraft like a Learjet. The panel has all sorts of dials and switches that must be perfectly adjusted for flight. The instrument panel has been carefully designed to keep the sophisticated and complex aircraft functioning. Humans are even more sophisticated and complex. We, too, however, have instrument panels that have been carefully designed, and we must learn to adjust the state of our being through those panels. Our own dials and switches allow us to tune the Learjet of our life to realms of potential impossible to reach through the physical world. Through our instrument panel we can tune ourselves to an awareness that will show us with astonishing clarity how to face the challenges and opportunities of our lives. Through awareness we discover an amazing truth: that our inner and outer lives are a continuous stream, and so much so that we cannot separate the two. We discover that our life begins in a place deeper than our cells, a place where pure awareness exists. From this place of pure awareness our life streams through countless layers of our inner being, just as an old-fashioned movie projector’s light shines through film. Our story plays out on the screen of our life, but it has already been written and etched into the film’s frames. Some of the frames we inherited. Some we invented. Some we should have discarded, but didn’t. Some we hold for the future. Some we hold for others. Some we enjoy seeing played on the screen of our lives, while others we wish we could have cut out of the production altogether. But by the time we realize that our inner and outer life is one continuous stream, our movie is already playing in theaters. We directed it, and we were, we realize, asleep. When we learn to tune the state of our being so that we are both deeply connected to our inner self and fully engaged in life, we live as though we are the gymnast on the balance beam, but are not limited by its narrow margin of space. We are completely free to move about in our life however we choose as long as we remain aware. We are flexible, relaxed, strong, clear, focused; and we are able to think, feel and engage life at its highest potential. We live and love creatively, and the gifts we receive multiply exponentially. Our awareness makes everything we touch a gift to ourselves and others. Every thought we have is a gift; every word we speak is a gift; every idea we consider is a gift. Through awareness we realize that life itself is a gift and that the movie of our life is indeed interactive. We realize that everything is connected to everything else, and that interacting with life’s movie can bring enormous changes in amazingly brief periods of time. 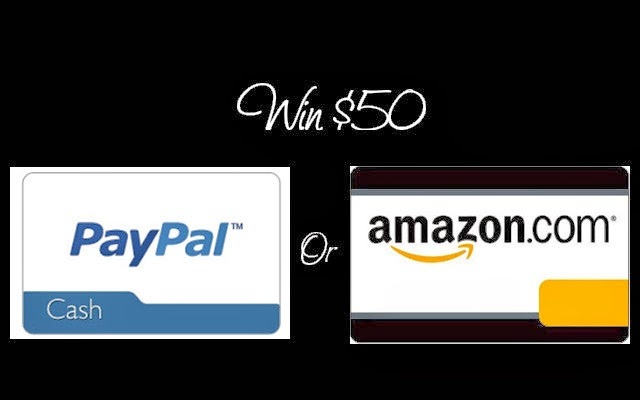 Journeys With the Caterpillar Boost & Giveaway! What comes to your mind when you think of Indonesia? Do you think of volcanoes rising hurriedly from the seas to the skies? Do you imagine whimsical color-changing lakes sheltering tales of dead ancestors, wandering spirits, and local lore? Do you think of baby Komodo Dragons scurrying for cover from their hungry mothers? Do you imagine ever-blossoming smiles in this country often considered the happiest in the world? 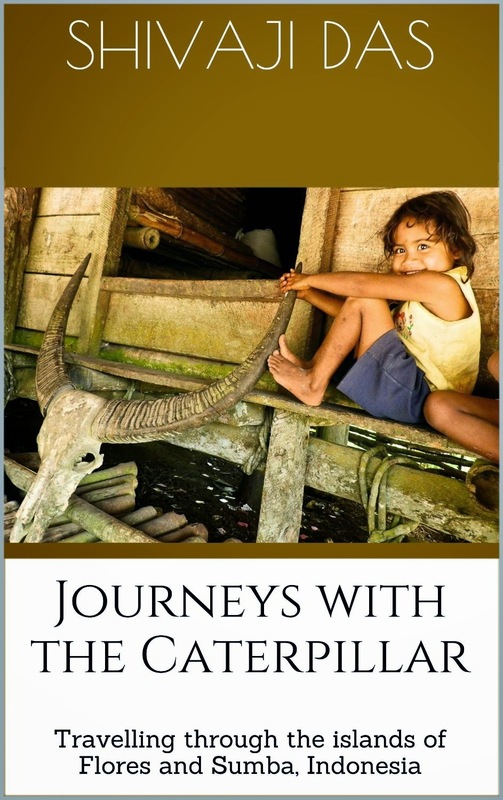 Maybe you’ve never visited these islands, but you’ll feel like you have when you’ve read JOURNEYS WITH THE CATERPILLAR. Embark on this journey today. Help contribute to allay poverty in these islands; all royalties from this book are donated to Ayo Indonesia and Yayasan Harapan Sumba (YHS), two not-for-profits organizations in Flores and Sumba respectively. Shivaji Das was born and brought up in the north-eastern province of Assam in India. He graduated from the Indian Institute of Technology (IIT), Delhi, subsequent to which he completed his post-graduation from the Indian Institute of Management (IIM), Calcutta. 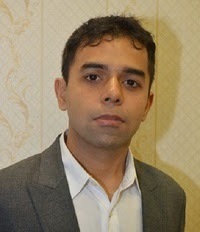 He is presently working as a management consultant in Singapore. Shivaji’s writings have been published in various magazines such as Time, Venture Mag, Hack Writers. He has also given several talks on the subject of Flores and Sumba in Singapore, China, Indonesia and Brazil where he was hosted by the Ambassador of Indonesia to Brazil. Besides travelling, Shivaji also takes an active interest in migrant issues and eradication of underage poverty and is associated with Singapore based organization Transient Workers Count Too (TWC2).